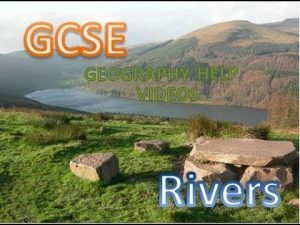 The album cover as it appears on the LDP Bandcamp page. The full size image (as seen below) reminds me of a promo pic the Residents did for Intermission (1982). Yes, for me, centrepiece #1 it is: ‘Geisha Mermaid’. Delicacy and shivers-down-the-spine suppressed emotions; lovely synth keyboard chords anchored by a thud-thud-thud heartbeat bass. There is dense and alluringly odd imagery of “eyes in brine”, blindness, baked seaweed, a “Tokyo stew” and headlines shouting ‘FINAL!’ There’s a tender sensuality as odd as that centring around the first-person protagonist Blake in J.G. Ballard’s The Unlimited Dream Company (1979), which was wonderfully weird visionary reading for me on holiday recently in Croatia. This is more enclosed: not a dream vision of an awakening, bacchanalian Shepperton, but confined, domestic surrealism. From 2:25 or so, screeching violins take us out of the mood of uneasily beautiful reverie, plunging us into the sort of stern dissonance The Lovers and its lovers seem to revel in. However, ‘Jungle’ is a rich and strange brew. We are at least partially back in the terrain of The Tower. “Only brave men make it in the jungle” seems to allude to the neo-Darwinian ‘survival of the fittest’ and ‘Victorian values’ aspect of Thatcher-dominated Britain in 1984. The guitar is jagged and somewhat Keith Levene-like in its terminal, cyclical repetition and hints at the Eastern. As the storm subsides, the absurd looped laughter mingles with more of the clapping. 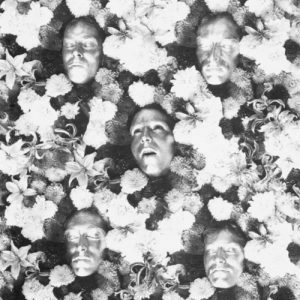 The original cut-up album cover. And then we hear rain and I’m not talking George Harrison but sampled droplets. There is a grandiose piano quite unusual for LPD. There is also the sound of a Mendelssohnian violin, with bursts of guitar and analogue synth, which paint an evocative ode to small moments in love but, seemingly, also the end of holiday time. There is “parting” and there is “airport torture”; it is as exquisite and aching a lyric as by a Romantic poet. ‘Flowers for the Silverman’, which is centrepiece #2. This has rock song underpinnings with guitar-bass-drum structure, but is sent thoroughly askew by the disco beat and the cantering violin. This is a tale of a mysterious visitation. Is he “hostile”? Will missiles be needed? A “priest” and “wading through the wreckage” evoke early chapters in the aforementioned J.G. Ballard novel, with its vivid picture of a submerged, crashed plane in the river Thames within the grounds of an English country-house and the bearded Father Wingate, who doesn’t help the drowning protagonist (who may or may not have died). From 3:42, we get one of those magical, transcendent LPD musical moments, with a chiming glockenspiel-like punctuating lead part. And there is majestic, sprightly phrase creation and word-play: “A multi-coloured, multi-lingual vigil”. And the mountainside opened – a moment to pray for all the souls he’d come to save. Now he couldn’t save himself. That’s the way the world goes round. It spins so fast. It made him giddy – sucking all the power from the Silver Man. Album cover with Zdzisław Beksiński artwork. ‘The Lovers (Part Two)’ sees a return of the grand piano. I know “China dolls” are exhorted to dance, but, for me, Matryoshka dolls are evoked – as appear in the title-sequence of Tinker, Tailor, Soldier, Spy (1979). This song sounds very Russian, with grave strings stretching out at length; all is inexorable, grand and fatalistic: makes me think of the cataclysmic events in Budapest 1956 and Prague 1968. Underneath the surface, there is what sounds like suppressed Caribbean steel drums, among a cantering and powerful bass and rhythmic procession. From 2:50 or so, we have an oddly Peter Gabriel-like section akin to the great early-80s UK charts, followed by submerged samples and the violin taking over again, as it must! Around the five-minute mark we have a furiously ascending violin and incantatory chanting from EK-S, to bring us to a scorching close. The album closes with ‘Premonition 16’. This is a strange tale, somewhat further away from the mainstream-ish rock moorings that anchor a lot of the other songs on this tremendous album. This is an at-times nightmarish narrative of a break-up, with a dank situation established, akin to a political prisoner being in a cell, but with alligators as well as rats. The lover tells him: “it was different last night; You were a tiger on the prowl. You had claws – but they snapped. You don’t attract me now”. This evokes Ballard’s grave and absurd visions of humans turning into fish and birds. It is, as Roy Orbison once sang, over: “Don’t bother phoning; I’d slam the receiver right now”. It all seems summative of 1984’s lack of social togetherness, as well as sounding a downbeat personal note. The album seeks to take on a more European dimension, compared to the solely Thatcher’s Britain-focus of The Tower. This was the year also of ‘Two Tribes’. Of Reagan’s cocksure election landslide over Mondale and the Chernenko-era Soviets turning out vociferous propaganda like The Target is Your Brain. This propaganda film, viewable here, has a coruscating electronic music score not a million miles from the LPDs’ music on, say, Chemical Playschool 1 & 2. It is frightening to think of such a prospect: this liberating electro-psychedelia applied to totalitarian ends. Adam: When Tom, Matt and myself originally discussed The Legendary Pink Dots Project, we weren’t going to include live albums among those reviewed. 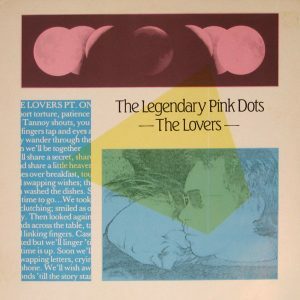 Little did we realise that the Dots, far less complacent that most bands, would release a live album, The Lovers (1984) entirely composed of new material (save for a couple of lines in the lyrics to ‘Premonition 16’) and at least one other album, The Terminal Kaleidoscope (1985) – a split release with the band Attrition – including both old and new material. Dem Dots are full of surprises! 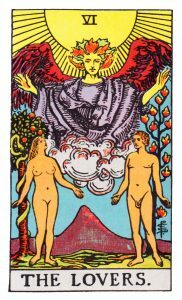 The Lovers follows The Tower (1984) in being named after a Major Arcana Tarot card (as my very non-Tarot-cards-reading dad pointed out to me). While ‘The Tower (XVI)’ signifies sudden destructive change in the material realm, ‘The Lovers (VI)’ is more cautiously optimistic; also associated with change, but in one’s personal relationships. The image on the card – Adam and Eve presided over by the Angel Gabriel, standing next to an apple tree (w/ serpent) and a second tree on fire – is suggestive of amorous temptations and their attendant excitements and dangers, which can also lay the seeds of a deeper, spiritual connection between two lovers. It is probably beyond my purview to speculate about the state of Edward Ka-Spel’s love-life in 1984 (save that perhaps Edward was thinking of the “Marylou” (sp.) to whom ‘Geisha Mermaid’ is dedicated when he thought up the album’s title); however, as mentioned in the previous review, 1984 was certainly a time of change and re-location for Ka-Spel and the remaining Dots. The note on their official Bandcamp page has it that 1984 was a “time of high drama” for the band, with the B-side of the album captured in a studio in Hilversum, Holland, and the live A-side recorded multi-track at The Melkweg. “At the end of the year”, the info reads, “EK relocated to The Netherlands to spend as much time with Marylou as he could”, living several months on a friend’s floor. Luckily, other members followed soon behind, else we would just be looking at a solo career. While The Lovers lacks the thematic consistency of The Tower, it does not sound like a band in a state of disarray. The Lovers‘ first four tracks – ‘Mmmmmmmmmmmmm’; ‘Geisha Mermaid’; ‘Heretic’; ‘Jungle’ – which compose the live portion of the album, are surprisingly straight-forward synth-pop, with few ambient digressions and very little dissonance. It is funny to hear the Dots out in the world with an appreciative audience; to me, it almost strips them a little of their mystique. Certainly, it’s a barn-storming 20 minutes of music we are provided with, but the production is a little too clean for my tastes. Not that I have long to miss the murkiness, since Asylum of the following year went back to being recorded with crummy out-dated equipment! Yay! The songs on Side A shift seamlessly between different registers and I even think that a couple of these tracks might have wormed their way into the Top 40 were it not for Edward’s sly, affected vocals. It took the likes of Jarvis Cocker to bring that into the mainstream (although, to give the man his due, Steve Harley, the Cockney Rebel, had some very odd vocal affectations on his great 1974 album The Psychomodo). These tracks are strong, but don’t vary significantly from the (tbf fabulous!!) formula of the Dots’ early years of relentless drum machine loops, alien synths, and stabs of guitar and violin; so in describing the music I am in danger of repeating myself. The only major difference from the recordings of old is that the cleaner production allows the material a bit more musical clout. You can hear the space between the instruments and each vibration shimmies to your ears unclouded and unencumbered. 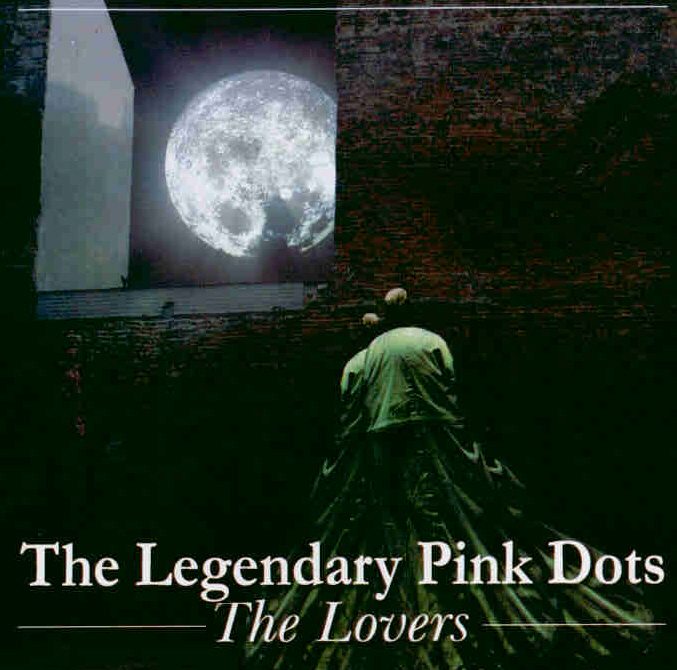 If you are intrigued by the Dots but have a real dislike of low-fi recordings, The Lovers might be the album for you. The mermaid from Hideshi Hino’s ‘Mermaid in a Manhole’. The following track ‘Geisha Mermaid’ is a simple plaintive song that gets under my skin. It combines the sentimentality of popular man-meets-pretty-mermaid rom-com Splash (also released in 1984) with a latent under-current of body-horror a la significantly less popular man-meets-decomposing-mermaid video nasty Guinea Pig: Mermaid in a Manhole (1988). The punchy ‘Heretic’ is a little less mysterious and is another great Ka-Spel song about the plight of the weird and the dispossessed. ‘Jungle’ has the faux-Eastern vibe of much of The Cure’s Kiss Me Miss Me Kiss Me (1987), with a guitar played like a sitar and a snaky violin melody courtesy of Patrick Q. Wright that sounds as though it’s folding in upon itself. The rest of the song is rhythm piled atop rhythm atop rhythm. It’s easily the busiest and most cacophonous track on The Lovers‘ A Side, which is probably why it’s my favourite. The live section of the album concludes with a patter of applause that sounds like rain. I felt like the Dots deserved better, though I think it was one of those cases when some members of the audience thought that a song had finished but it hadn’t and then they had to keep on clapping. There was a nice appreciative woop though! There is a real shift in gears as we move to The Lovers’ B Side and onto the sumptuous Peter Hammill-esque piano ballad ‘The Lovers (Part One)’. It is remarkably effective, even though musically it’s one of the Dots’ most conventional songs thus far. Yes, there’s a discordant bridge of staccato piano and urgent violin, but consider the BIG cinematic drums and a melody that ascends the scale to reach tiny points of crescendo, only to retreat and then ascend once again… these things are not without their 1980s power ballad qualities. Indeed, the whole affair is almost tastefully done and yet the song retains a certain characteristic awkwardness/ prickliness that prevents it from becoming whatsoever middle-brow. In this way it reminds me of my favourite ABBA single, ‘The Day Before You Came’. Like that wonderfully deflated swan-song, it manages to communicate a whole relationship through the banalities that mark its absence – mugs of coffee left to go cold; airport tannoys that announce arrivals and departures; eyes that glance quickly through a queue seeking mutual recognition. In the case of ‘The Day Before You Came’ this melancholic everydayness suggests that the song follows a break-up, with the narrator returning to the unfeeling, unthinking state in which she lived before her erstwhile partner entered her life; in the case of ‘The Lovers (Part One)’ the loss evoked is that of the constant separation engendered by being in a long-distance relationship. The song really captures the way in which in a long-distance relationship you desperately try to cling onto the fleeting moments together, which often seem so transiently ungraspable next to the dead-weight of unsatisfying phone-calls and clumsy letter writing. In such a relationship you’re constantly on hold, waiting “`til the story starts again”. 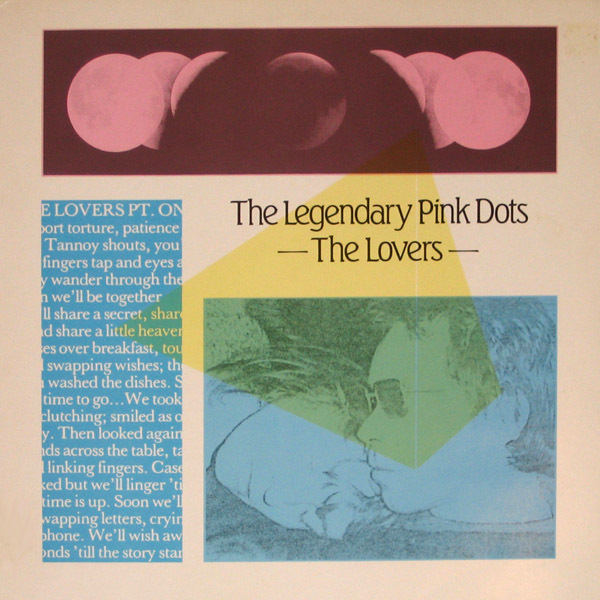 Later on in the album ‘The Lovers (Part Two)’ extends the formula of the first part. Synths seem to decay before our ears in glowing half-life. They sink like DayGlo battleships. I imagine a rotting flower garden. Gold-leaf peeling from the wallpaper of an ancestral home. It is achingly lovely. Then from around 2:00 minutes in Patrick Wright’s violin summons the stately despair of Shostakovich. The tone is kept decidedly East of central Europe as the song builds into what sounds like a haunted Hungarian folk waltz and, in so doing, manages to out-goth pretty much any goth band you might care to mention! The only disappointment is that the song ends on too ethereal a note, bringing in the kind of echoing howls that characterised ‘Basilisk 2‘ (1982) rather than repeating the central piano refrain. The album’s other epic narrative track, ‘Flowers for the Silverman’ is presented in one-piece, though following a brief instrumental introduction entitled ‘Silverture’, which reminds me of Sierra games’ start-up music and GCSE Geography videos. The fact that the Dots’ keyboardist and second-in-command Phil Knight is known under the nom-de-plume of “The Silverman” makes it a fair assumption that he was at the compositional controls. 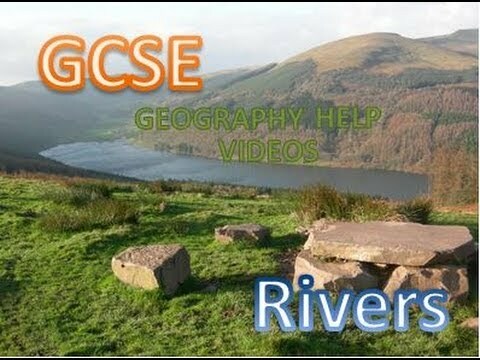 Image from ‘GCSE Geography Help’! The song itself is like a New Wave reprise of David Bowie’s saga of Major Tom. The Silverman is some kind of benevolent spaceman who ends up fatally entombed in a mountain-side, becoming a kind of secular martyr for us petty, militaristic, and altogether undeserving humans. In its odd-kilter, half-serious, half-cod spiritualism it reminds me of Van der Graaf Generator’s notorious ‘Plague of Lighthouse Keepers‘. ‘Flowers for the Silverman’ is not quite a prog epic (though it is bombastic enough to include a few power chords and drum fills) but it is still impressive the way that the band easily manage to sustain the listener’s interest for 10-minutes without atmospherics. 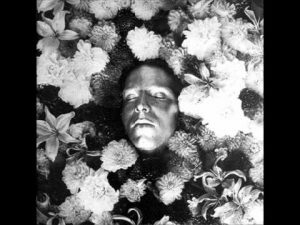 The Dots had produced many soundscapes that long before, but soundscapes are allowed to drift into the background, whereas the complex lyrics of ‘Flowers for the Silverman’ demand an attentive ear. Apart from Ka-Spel’s lyrics, Patrick Wright’s violin carries the track and it is his violin that made the greatest impression on me throughout the album. ‘Curious Guy’ meanwhile is a sweltering, buzzsaw guitar funk fundango sung by Ka-Spel in perverted prophet mode. At first I found the way the violin strictly follows the bass line a little off-putting, but some fun and energetic guitar work won me over, along with some really weird stuttering syncopated synths, which is all capped by a lovely metallic shiver at the end of the song. Indeed, while this is a studio track rather than a live performance, the musicianship still sounds pretty formidable here, at least to my ears. The Dots are an incredibly talented bunch/ pair, but I don’t generally associate them with super-complex harmonies or mind-melting time signature changes and the like, but they are not without a fancy trick or two up their collective sleeves. The song might be considered a template for the kind of compositions that appear on the Dots’ following studio release Asylum (1985). Last and only very slightly least, ‘Premonition 16’ starts off sounding properly MIDItastic like mid-period Residents, but soon settles (un)comfortably into might might be described as industrial space rock, with astral organs floating out of a great aural expanse. Indeed, from from around 3 minutes in #16 starts to sound like the ‘Premonition’ tracks of old, haunted and gloaming where Edward whispers on the edge of hearing. The production is expansive, which makes it all the most terrifying when things get suddenly claustrophobic and horrible noises (mostly screaming) emerge from the darkness. She said, ‘no complications, […] been hurt too many times before […] each time, well it gets a little harder – I’ll hurt you if you stay for more.’ She said, ‘it was different last night; you were a tiger on the prowl. You had claws – but they snapped […] You don’t attract me now [… …] She said, ‘Don’t bother phoning; I’d slam the receiver right down. Well, I just want to be alone […] you know these days […].’ Somewhere someone’s laughing. As the parentheses should indicate, the passage is significantly truncated compared to how it appears in original form in ‘She Said’. The bold highlighting indicates what has been added, which are mostly little qualifiers and connectives, making the speech sounds more naturalistic. To me the changes (esp. the significant truncation) suggest that Edward might be reflecting on a break-up from sometime past… perhaps quoting some of the lines (such as him having been a ‘tiger on the prowl’ from memory). The dialogue recalled here sounds as though remembered from a distance; less raw and immediately fragile; more jaded, with a hint of imperial gravitas. The effect is slightly more anaesthetised than the first time round, although I’ve never heard Edward hold a tortured note as he does the ‘Yooooooooooooooouuuuuuuuuuuuuuuuuu‘. The distanced, numbed, reflective tone of the song makes these moments of pure unbridled emotion all the more affecting. Indeed, I might have been brought to tears if I hadn’t been distracted by a moth.